Donuts are an all-time favourite for most South Africans. 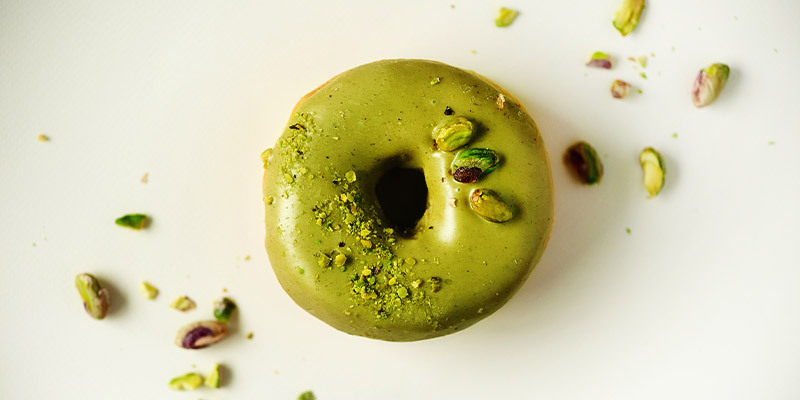 We introduce to you a healthier but just as delicious alternative, our Baked Pistachio Honey Donuts recipe. Using our organic products, the health benefits of this recipe are also just amazing. Preheat the oven to 177°C and lightly spray mini donut pan with baking spray. Combine the coconut flour, almond flour, ¼ cup ground pistachios, baking powder, and salt in a large bowl and mix them well. In another bowl, whisk the egg and then whisk in almond milk, honey, applesauce, coconut oil, and vanilla extract. Start with the egg and milk at room temperature so that the coconut oil doesn’t solidify back up. Pour the wet mixture into the dry ingredients and stir until just combined. Spoon the batter into the doughnut molds. Bake for approximately 15 minutes until lightly golden brown around the edges. Allow to fully cool before topping. To make the topping, if necessary, chop the pistachios. Microwave ¼ cup honey in a microwave-safe bowl for approximately 20 seconds until hot. 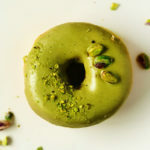 Generously spoon over the tops of the doughnuts and then sprinkle with ground pistachios and a light dusting of sea salt.